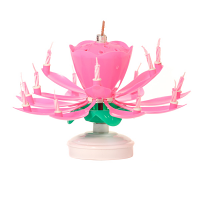 Nothing brightens up a birthday party like a musical flower birthday candle that makes all your friends smile. 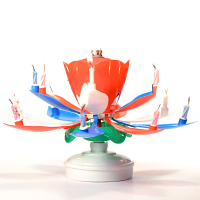 We have musical birthday candles that are their own mini light show and play the Happy Birthday Song at the same time. 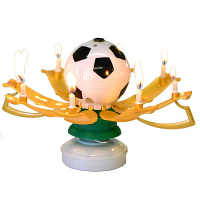 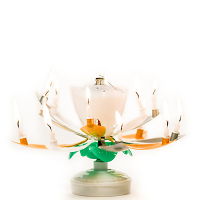 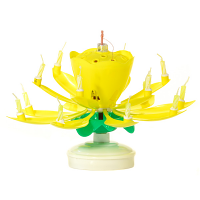 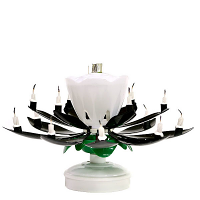 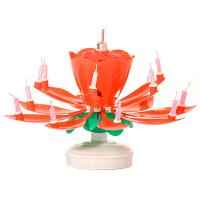 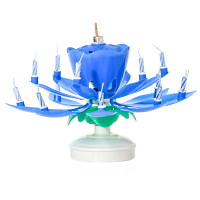 These flower birthday candles spin and turn a large single flame into 14 lit party candles, one on each petal. 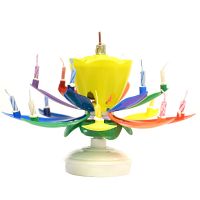 We have a large selection of colors so you will find the perfect one for your friend of family member. 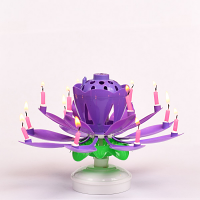 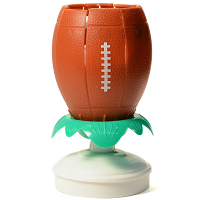 The lotus flower candles are FDA approved to be used with food and the wide plastic base sits neatly on top the icing and will not put holes into your cake. 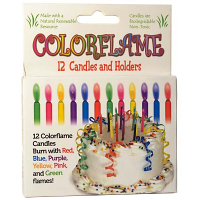 Rich navy candles that burn nicely.